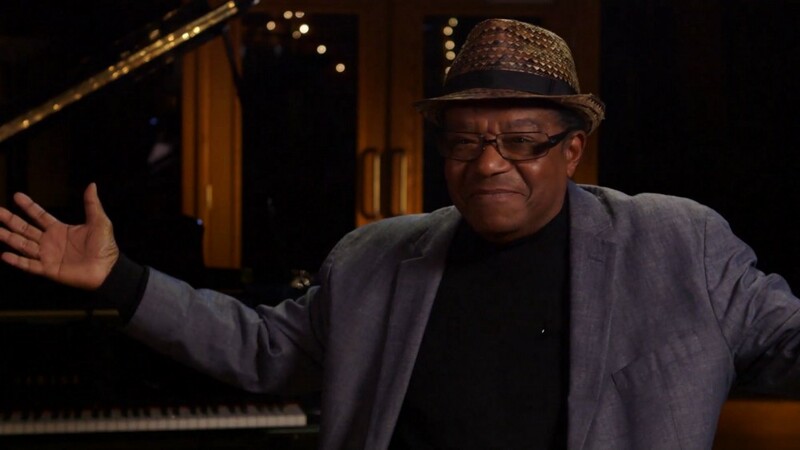 I caught up with director, film-maker, documentarian Brent Wilson to talk influences, film, film-making, music history, and the art of the documentary in his newest – a fascinating piece on the history of Doo Wop and all the social change around it - titled Streetlight Harmonies. Streetlight Harmonies is a fascinating look at a genre that really never truly got its due in the annals of American music history – a genre marked by passionate experimentation and harmonies heard under the streetlight yet really only lasted a few years – Doo Wop. Wilson takes a caring, spirited look at the genre by talking to many luminaries of it including Barbara Jean English, Diz Russell, Terry Johnson and others. 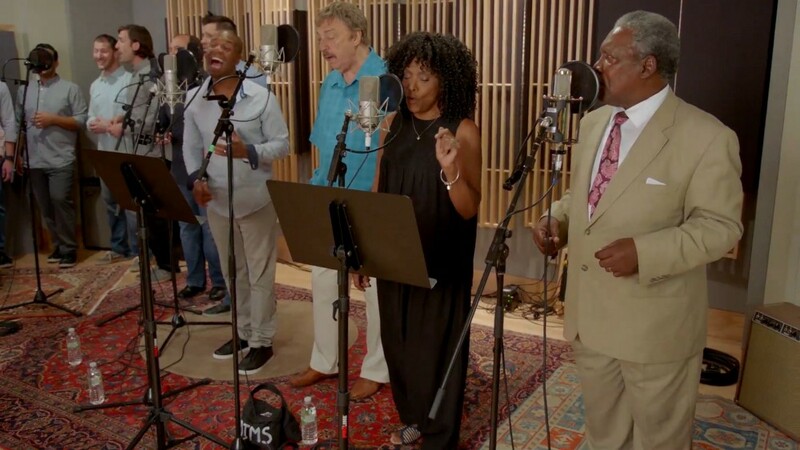 Straight No Chaser, Vito Picone, La La Brooks, Charlie Thomas in STREETLIGHT HARMONIES. Streetlight Harmonies is an incredible discussion about a musical genre that is under-discussed but oh so pivotal to the American experience. I highly recommend it for fans of great music and a great documentary. Hello Brent and welcome to The 405! I'd like to start if I may by getting an idea of your history – what got you into film-making? I think like so many filmmakers who grew up in the '80s, I was initially inspired by the magic of Lucas and Spielberg. I was 12 years-old when I saw Raiders of The Lost Ark and I when I read an article that same summer in Boy’s Life Magazine about Steven Spielberg, and realized that people actually made films for a living, I quit playing sports, sold my little Honda dirt-bike and bought my first camera. From that point on, there really was no plan-b. I found my place in the universe and I was going to filmmaker. Though the road can be a rocky one for any artist, I've been very blessed to be able to do what I love ever since that day. What makes a great documentary? A great film? Emotion. For me it always comes down to are you evoking some kind of honest emotion with your story-telling. It could be anger, joy, laughter, pride or disgust, it doesn't matter as long as the emotion that I'm evoking is true. I think that tenet actually applies to all of the arts. I figure as a director, that's my job…to make you feel something. I would certainly agree with that sort of universal artistic applicability. Favorite directors? Favorite films? Which have been most influential on you as a story-teller? If I had to pick one favorite director and film, it would be John Ford's The Searchers. I was fortunate enough to catch a revival screening of The Searchers on the big screen in my hometown of Louisville, Kentucky when I was 16. I had never seen anything like that up until that point, and the story, the visuals, the complexity within what I thought was a standard western just blew me away. That moment in the theater, and that film has stayed with me whole life. I also love the versatility of the career of Howard Hawks who made incredible westerns in his own right with Red River and Rio Bravo, but also fantastic comedies such as Bringing Up Baby to dramas like Scarface and Only Angels Have Wings. The same could also be said for Billy Wilder. To go from Some Like It Hot to Sunset Boulevard is just astounding to me. Present day, I love the way Cameron Crowe tells his stories in both his feature and documentaries, and no one uses music better than he does. Another music documentarian that I really admire is Thom Zimny. He's done a lot of wonderful work with Bruce Springsteen and I'm really looking forward to seeing his new Elvis documentary on HBO in few months. Barbara Jean English in STREETLIGHT HARMONIES. Getting into Streetlight Harmonies, I'm curious what attracted you to the history of Doo Wop as a subject? I realize it is interesting in and of itself, but am wondering if there was a more personal connection there too. Also, had it ever really been told in cinematic form before? The idea to do a documentary on Doo Wop music came from our producer Tim Headington. Tim is a huge fan of doo wop – and actually all music and arts – and he had realized that no one had done a serious look at this genre of music before. As he, our other producer Theresa Steele, and I began research for the project, we all quickly realized that there was so much depth of story to this music and these artists that had never been told. Incredibly, true doo wop only lasted a few years, but its impact and legacy is still felt to this day. There has been serious works done on the Blues, Country, and Gospel, but there was this other pillar that is also a foundation of Rock and Roll music that had never received its due. That was the story we wanted to tell and Tim bravely said "let's do this". For me personally, I like to think that I was fortunate it enough to grow up in a time without Disney Radio or I-Pods or even Walkmans, initially. So if you were in the car, or heard music at home, you heard what your parents listened to. So I grew up listening to, and loving this music. As we discuss a bit in the film, there was also so this amazing second wave of exposure for Doo Wop in the '70s through films like American Graffiti and Grease, and television shows such as Happy Days and Laverne & Shirley. I was obsessed with American Graffiti and "Come Go With Me" by the Del Vikings opens our film simply because that song plays in one of my favorite scenes in the movie. I’ll never forget when we interviewed Brian McKnight for the film and as we were discussing his exposure to the music when I mentioned Sha Na Na how his eyes lit up. He immediately did the Bowzer pose with the flexed muscle, and just smiled recalling how watching that show as a kid, and hearing those song inspired him to want to be a singer. Brian was just like me. He knew from watching those shows and hearing those songs that they were great music and it didn't matter what year they were recorded in. Tim, Theresa and I really went into the film believing and hoping that if we could just get this music a little bit of the respect it deserved, and got the songs heard by some folks that might otherwise not be exposed to them, that maybe a few kids like Brian McKnight or Lance Bass might fall in love with them as well. Streetlight Harmonies reminded me quite a bit of my grandfather who recently passed (this was largely the music of his youth and he exposed me to quite a bit of it). Especially the part which talked about The Chords' "Sh'Boom" – my grandfather would often play The Crew Cuts version of that song and I'm ashamed to say that I never knew The Chords did the original. I really like how the film showed that in large part, Doo Wop as a whole was color blind (while being of African-American origin) in terms of acts and talent, yet there was certainly a sort of white washing of certain hit songs like "Sh'Boom" that was going on – along with shameful behavior like the refusal to show a black artist on a record cover because it wouldn't sell in the south. My question: what do you think we as a society should learn from that bit of Doo Wop's history? Also, how can we best recognize and nurture musical talent going forward? Don't be ashamed that you were never exposed to the Chords version of "Sh'Boom". That was actually the idea with the records companies at the time. They wanted your grandfather to hear and buy The Crew Cuts version. That white washing of the music and the refusal to put black artists on the covers of their own records is at the heart of the film, and one of the main reasons doo wop has not received its proper due. But it's never too late so long as the music is not forgotten. And as you pointed out, I think as a society there is still so much to learn from the journey those artists took. In fact, it's a bit disconcerting how relevant their story still is today. We've come a long way from African American artists being forced to sing to a wall because the white promoter doesn't want them to look a white audience in the eyes, but when you look at the current political client, and situations we have today, you know that we still have miles to go. Little Anthony in STREETLIGHT HARMONIES. I found it really interesting how so many of the artists interviewed described Doo Wop as having an essentially experimental soul – for instance, the part where the interviewees described singing in a bathroom versus a street corner because of better acoustics which make better harmony – a fact they came across through experimentation. Do you think we'll ever see a drive to experiment like they had at Doo Wop's height, in American music again? I would like to hope so. I see kids today releasing music on You Tube they made with their laptops, and I have hope. Then I see where American Idol returns and the success of The Voice and others where the concept of waiting in line, and singing someone else's song makes you a star, and I get sad. Those shows make for great TV and I have been a part of them, but in my own personal opinion, with the exception of a few rare talents, they are not doing any favors for other few thousand in line who believes this is how you create music that that has an impact. What do you hope audiences will take with them from Streetlight Harmonies? I found the film to be fascinating not just in terms of this (pardon the pun) largely unsung or untold musical history but also how that history is so intertwined with the larger social narrative in epochs like the Civil Rights Movement. 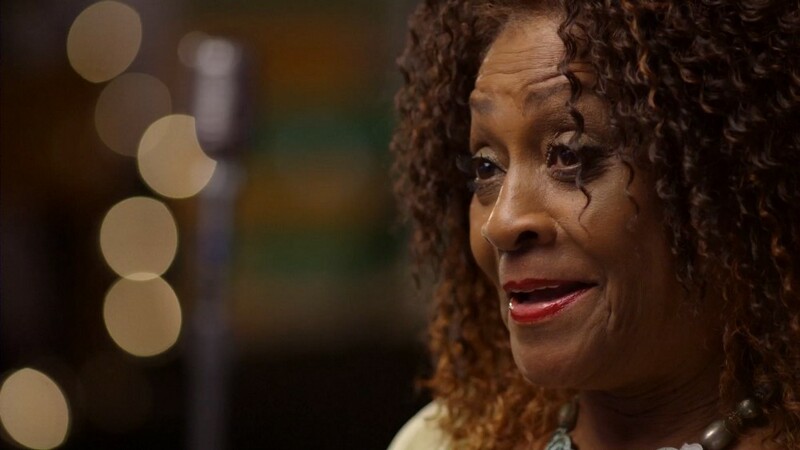 You have hit on the one thing that I hope audiences take from the film, and that is the role this music and these artists played in planting the seeds for the Civil Rights Movement that was to come. This music and these artists were for most of white America, the first real exposure they had to black culture. Most white kids at that time were not going to hear on the radio, or go to a bar and see Howlin’ Wolf, but maybe, they could hear "In The Still of The Night" at the end of the dial on the radio, come to love the song, and then maybe ask themselves, why should I feel any different about The Five Satins then I do Pat Boone. And it would be those same kids who just a short time later would be marching, sighing up voters and voting for change. You need a spark to start a fire and we believe this music was that spark. Without meaning to be coy, Tim, Theresa and I are all working together again on another incredible documentary that we can't mention just yet. However, I can say that I'm equally proud to help tell this story and promise to let you know more about it very soon! Streetlight Harmonies Trailer from Scott Gordon / HaloLA on Vimeo.